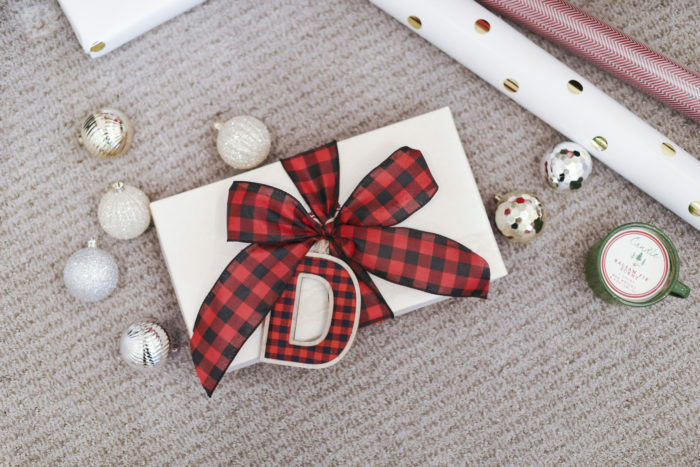 Hickory Farms is the Perfect Christmas Present for Men! For as long as I can remember, Hickory Farms has been a part of Christmas to me! My dad loves the smoked cheddar cheese, so he would buy it during Christmas and slice it into really thin pieces so we could savor it. It’s not something that you eat fast! Good things need to be enjoyed and I literally look forward to eating it every single year. I think that we often over complicate what to get the men in our life for Christmas, but it really comes down to this: men like to eat. 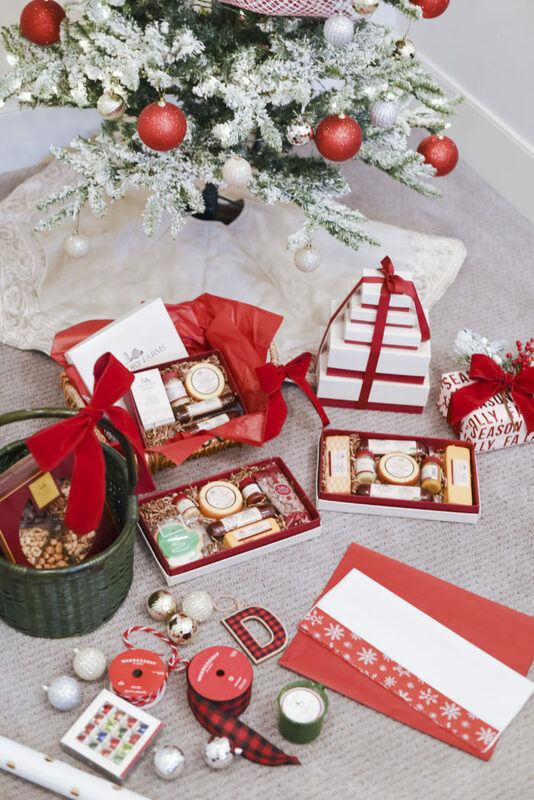 A tasty, savory or sweet treat can make Christmas perfect your grandpa, your dad, your step dad, your husband, or the mailman. Ask Tyler what would get him excited for Christmas and it’s not going to be a new shirt or shoes. I mean, he appreciates those things, but he’s not going to be jumping up and down for joy when he opens that box. You know I’m right! 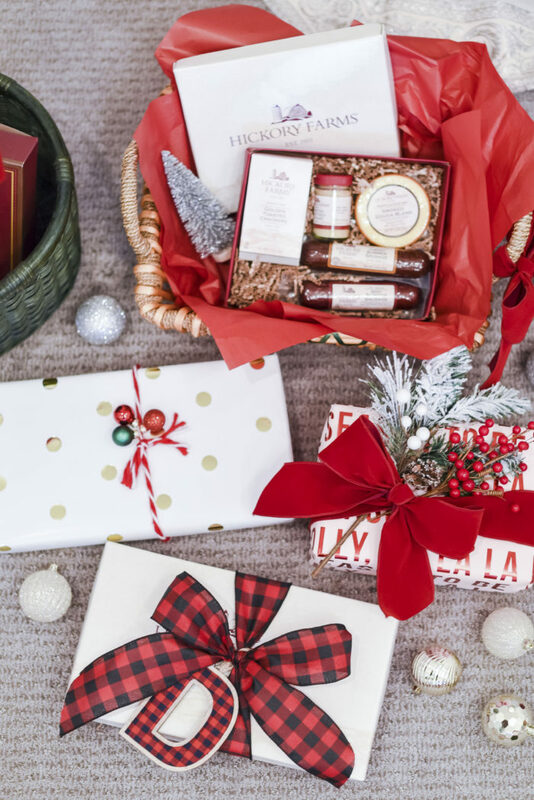 The quickest way to get a smile on that man’s face is with a Hickory Farms gift. Here’s what I’m giving my men, and don’t you dare tell! Grandpa – This man loves to eat. And when I say loves to eat, he pretty much sits in silence while all of the rest of us talk at dinner because he is literally savoring each bite. It’s also a well known fact that he loves nuts, so this Hickory Farms nut sampler has “Dex” written all over it. That’s his name. 😉 I might have to cozy up to grandpa during Christmas so that I can have bite or two of the butter toffee peanuts or the roasted salted whole cashews. Maybe it has my name all over it, too? My dad – My dad is the king of Hickory Farms. I mean, he didn’t found the company or anything, but I’m pretty sure he has eaten Hickory Farms every year since his birth, so I’m getting him the Grand Snack Tower and I know it will make his Christmas! I made sure the tower included his favorite, the smoked cheddar cheese. Do you think he’ll share with his favorite daughter? I’m not sure if I’m his favorite now, but I am sure I will be after I give him this gift. It’s all about playing your cards right. Tyler – Tyler isn’t a huge sweets fan (I know…it’s bonkers), so I’m getting him this savory assortment of pure delight, otherwise known as the Hickory Farms Summer Sausage and Cheese Gift Box. I might even be really generous and give him the gift of buying myself my own box so that I don’t steal any of his. I’m such a good wife. My step dad – Now my step dad, unlike Tyler, loves a good box of sweets, chocolate, or anything with sugar. I knew he was a good man when I met him. 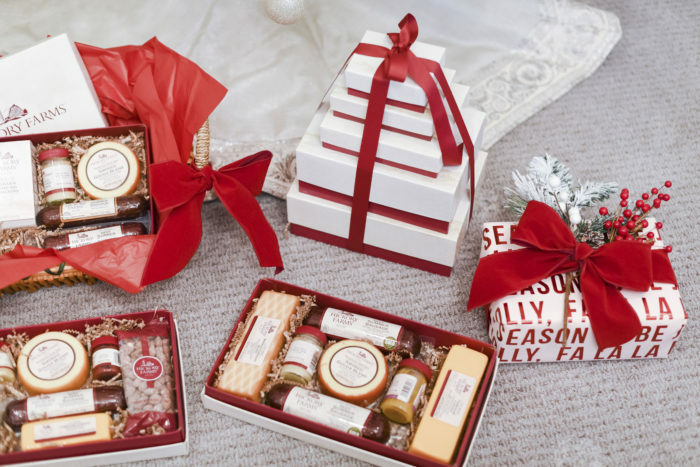 This Hickory Farms Holiday Cravings Assortment was made for him! I’m going to give this Beef and Turkey Hickory Sampler to my mom so that she leaves my step dad’s gift alone 😉 She loves turkey so it’s a perfect fit, and the boys can’t have all the fun around here! 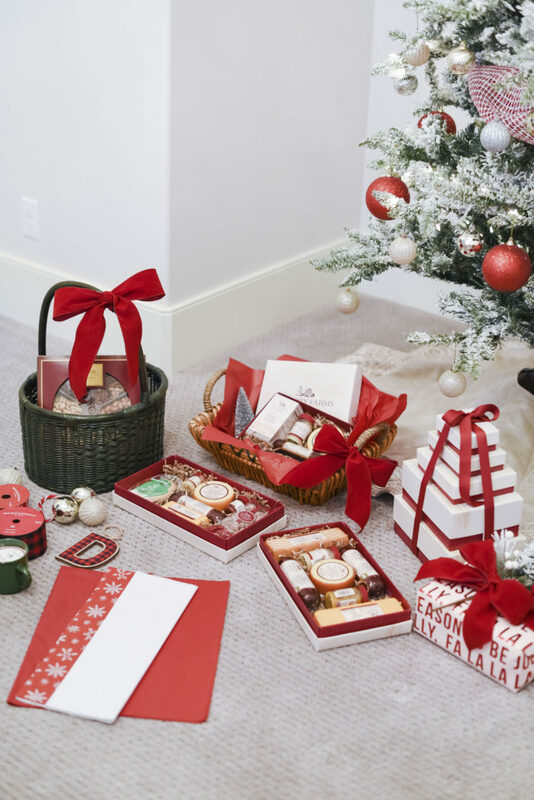 You can look through the Hickory Farms assortment of gifts here; there is literally something for anyone and everyone!! Do yourself a favor and buy something for yourself, too. You’ll thank yourself (and me, you’re welcome in advance) for the glorious gift. 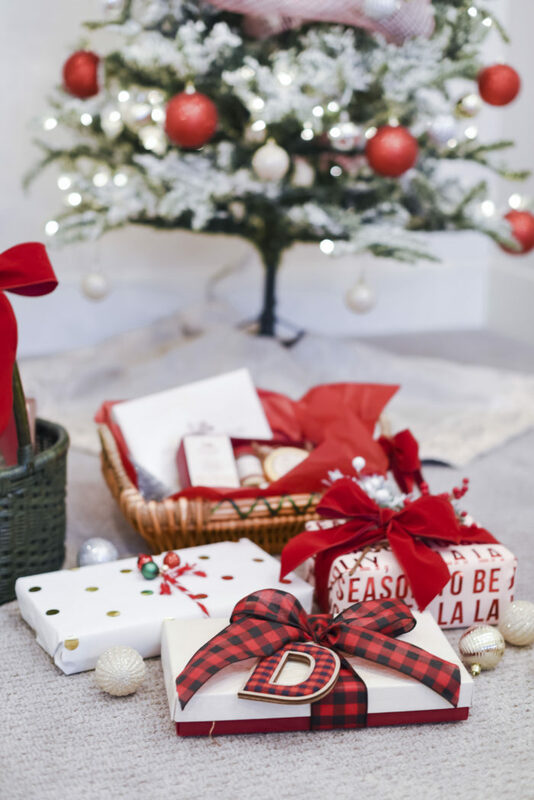 Buy an ornament with the letter of the first initial of that person’s name, and tie it on the top of the wrapped present with the ribbon. I choose “D” for “dad.” His name is Bren, but I think he’ll appreciate since he’s dad to me. 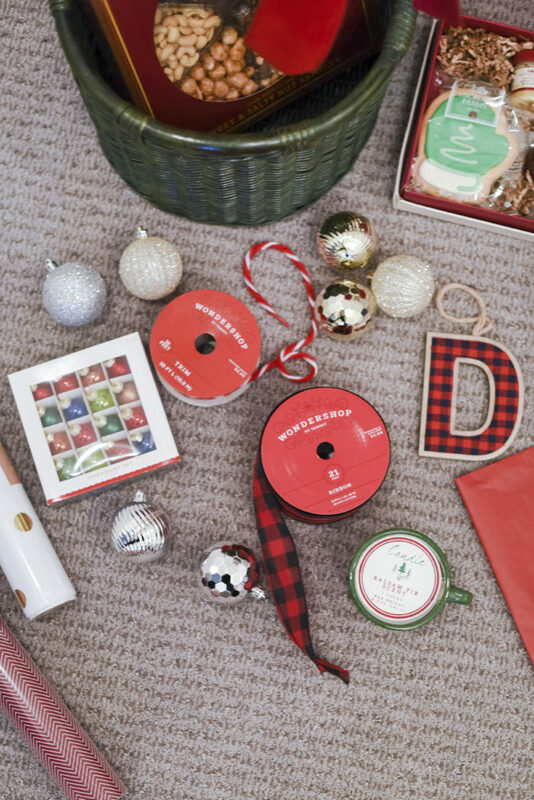 Buy little ornaments like these and tie them on to red and white string to wrap around the gift. It’s such an inexpensive way to add a lot! Buy wreath picks like this at a craft store and tuck them under the ribbon after you have tied it. This adds SO much!! It’s almost too pretty to open. Almost. 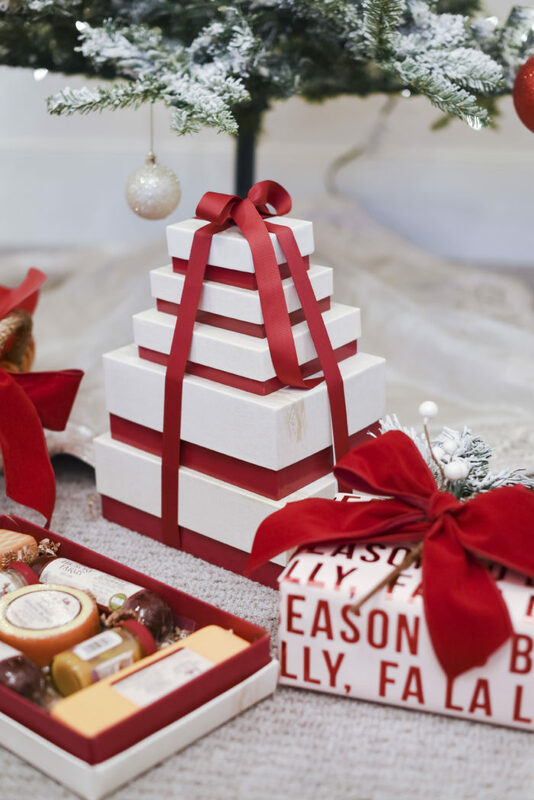 Buy a pretty box like these ones, and tie a pretty ribbon around it! It’s quick and simple, but so, so pretty. Previous Post: « The Christmas Tradition I am Most Excited About This Year!